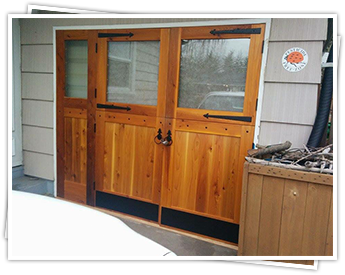 The Wood Butler specializes in custom carpentry and joinery in the Portland metro area. Whether we're building or installing custom cabinets, you'll be amazed by our craftsmanship and the natural beauty that wood can add to your home. We can build it, we can fix it. We can restore it. whatever carpentry services you need and or whatever woodworking project you can imagine, the Wood butler can help! Contact us to tell us what your're looking for and we'll get started right away. Our professional staff will work with you to bring your vision to life and create detailed plans for your approval. We also offer expert wood joining services, eliminating the need for you to hire a second company to install your doors, cabinets, or windows. Let us handle your job from start to finish to save you time and money. By using the same company throughout the entire process, you can ensure your're getting personalized attention and recommendations, and you'll get the product you want. Because we're a "one stop shop" for carpentry and joinery, we're in the best position to effectively troubleshoot any problems that might arise during installation. And because of our extensive knowledge of hard and soft woods, we can make sure you're getting the right material for your project.